After my first experience using Tenso to forward packages from Japan to Australia a year ago, my buying habits have drastically changed. 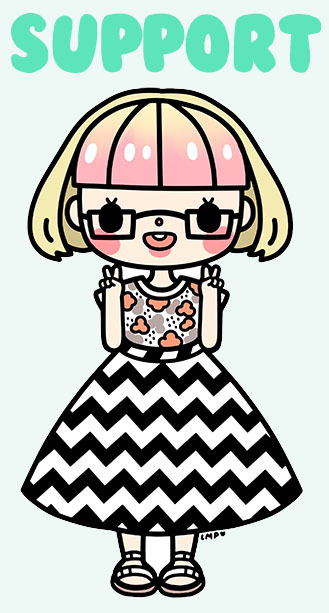 No more pining away for products that can’t be shipped overseas – now I can order them and have them shipped to me for a reasonable fee with Tenso! I say “reasonable” because if you’re not careful, the cost can shoot up very quickly… But after forwarding a few packages, I think I have a pretty good handle on how to make the most of it. 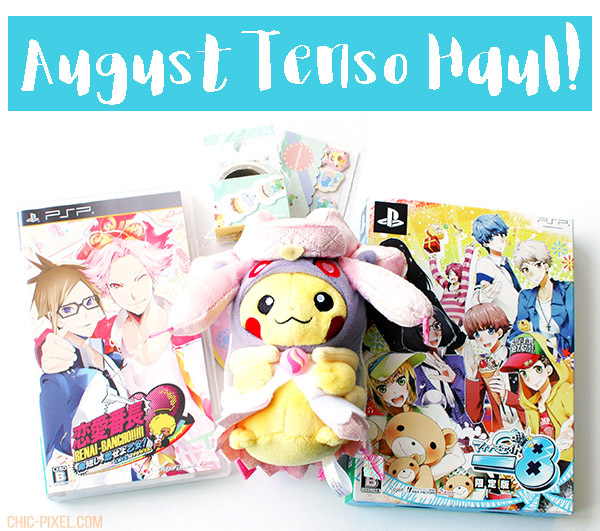 Today I’ll be sharing my most recent haul as well as some tips on using Tenso I’ve learned along the way! All of the items I ordered this month were from Amazon Japan, which brings me to my first Tenso fee-related tip: you’re charged a flat rate of ¥580 per package received, plus an additional fee of ¥500 to combine two boxes. After that, it costs ¥300 for every additional box, and it adds up quickly, so if at all possible I try to keep my purchases to one store. If I do have to order an item from a specialty store, I feel it’s more worthwhile to combine other packages with it instead of paying the Tenso fee plus overseas shipping just for a single item. Unfortunately, Amazon Japan can be confusing about the number of packages it sends, as sometimes it will seemingly arbitrarily decide to break one order into multiple boxes. To try to avoid this as much as possible, I make sure to order only items that are fulfilled by Amazon, and don’t mix preorders with items that are already released (in the past, I’ve had Amazon Japan decide to just ship the released items ahead of the preordered one, forcing me to pay the extra package combining fee with Tenso). Following these suggestions doesn’t always guarantee a single package, but it can help save some additional costs down the line! 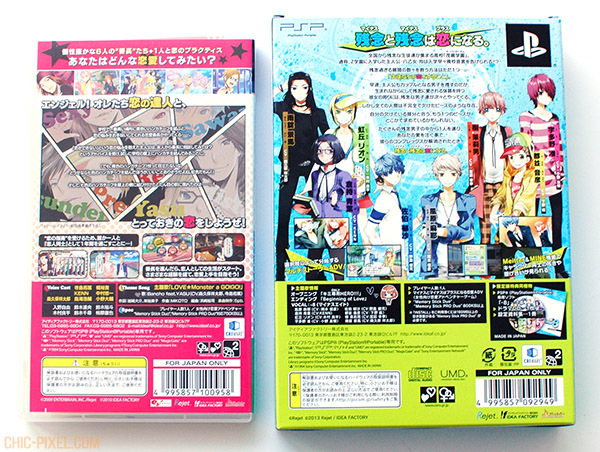 Funnily enough, my August Tenso order was a completely spontaneous purchase. Usually I build up a list of items over the course of a few months to buy in one fell swoop from Amazon Japan, but this time I just had to get my hands on a copy of Renai Bancho (aka Renai Bancho Inochi Mijikashi, Koi seyo otome!! Love is Power, left in the picture above). Why? Well, I found out my current favorite voice actor Morikubo Showtaro did the voice of none other than the character in pink on the game’s cover, and I couldn’t pass up the chance to listen to him in another goofy otoge bachelor role. 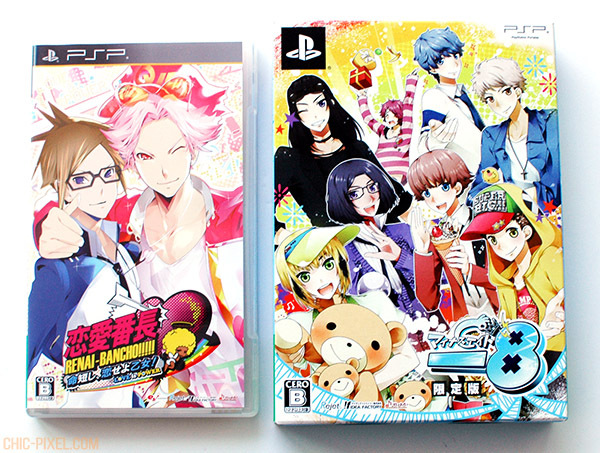 Plus, PSP games are so cheap these days! I got Renai Bancho from Amazon Japan used for ¥580. After learning Morikubo Showtaro was in Renai Bancho it took me about 20 seconds to decide that I was going to need to do a Tenso order, so I began browsing through Amazon Japan for additional items to purchase in order to make the box “worthwhile.” This is all totally subjective, of course, but I wanted more items so I wasn’t spending the ¥580 Tenso fee plus shipping for just a single game (that happened to cost the same as the Tenso fee itself!). 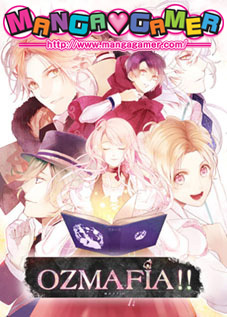 I had a shortlist of things in mind, but in the end I settled on another otome game I’ve had on my radar for a while: -8. As another PSP game, this was also really cheap: I scored a new limited edition copy for ¥1,490! I don’t really know a lot about the premise, but the unique art style always intrigued me. I can’t wait to check it out! 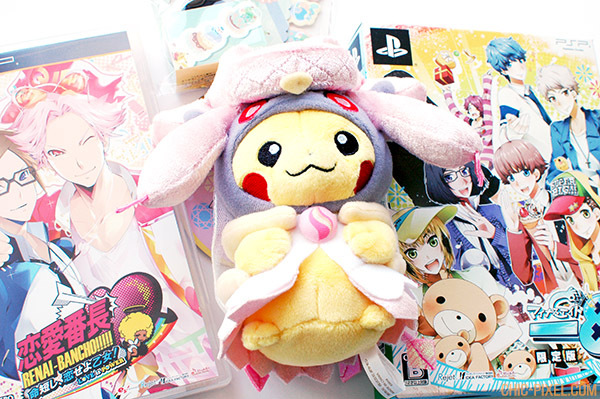 Of course, it wouldn’t be a Chic Pixel purchase without some Pokémon items. 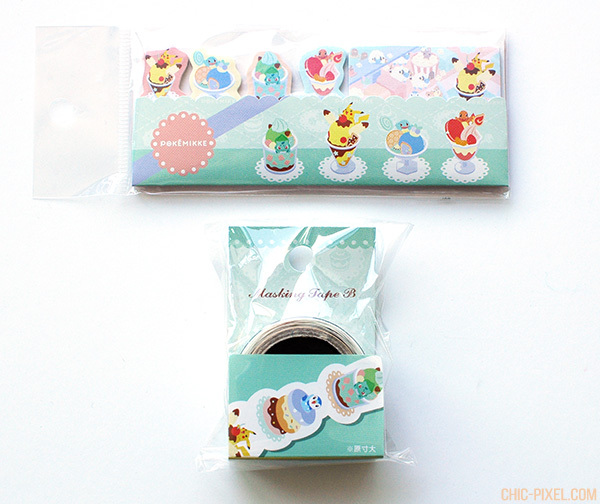 I’m a huge fan of the PokéMikke merchandise, so I just had to grab some items from the Okashi no Machi (candy town) series! In the end, I settled on a ¥454 set of sticky tabs, and one roll of masking tape for ¥432. 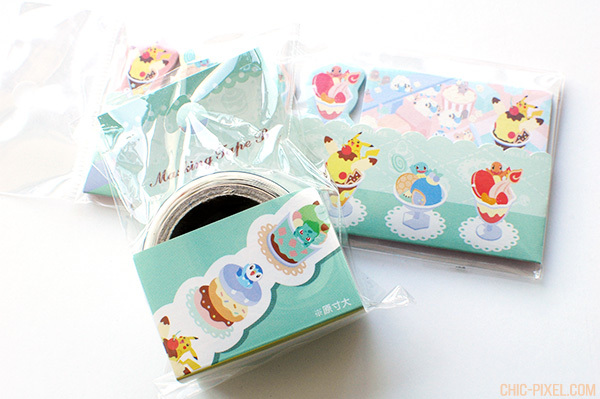 To be honest, I could’ve bought one of everything from this series – it’s just that adorable! But I exercised some rare self-restraint. 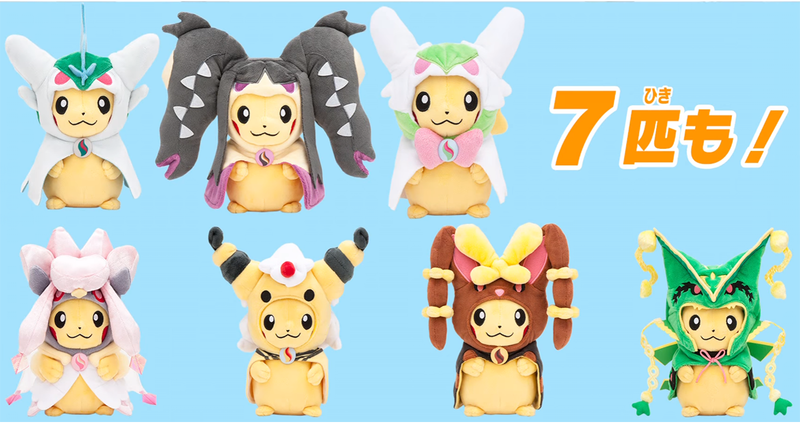 Finally, I also grabbed this gorgeous Mega Diancie poncho Pikachu plush, which just came out with a new series of poncho Pikachu designs at the end of July. 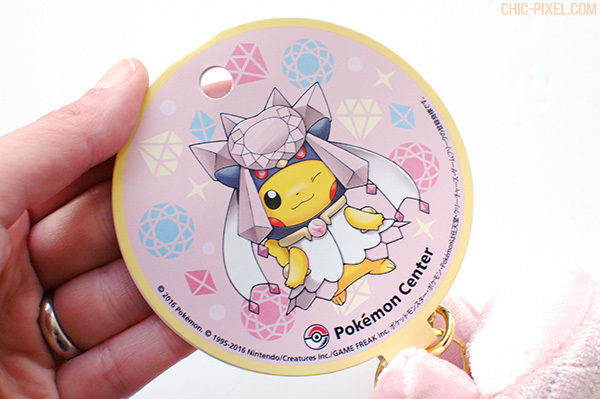 I’m not actually a fan of Diancie, but Mega Diancie looks pretty awesome! 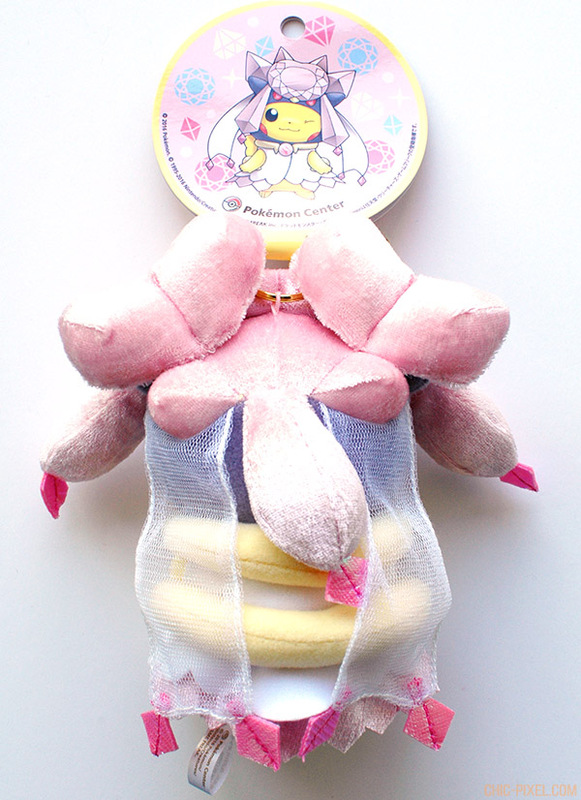 I was instantly sold by how they transformed Mega Diancie into a poncho, and the detail of the plush is really impressive. 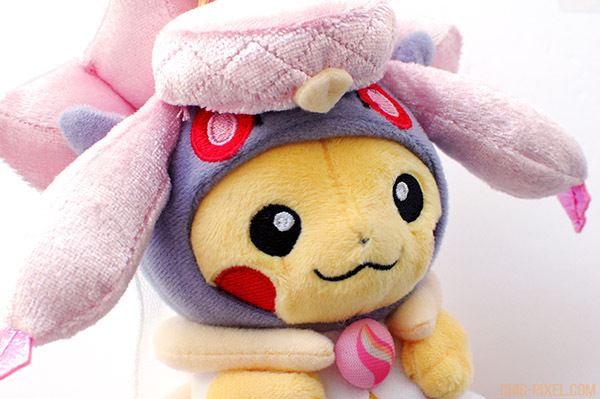 I just love everything about this plush, and the veil is a great example of how much care is put into the design. It all feels very sturdy, too, which is important considering I went with the keychain version of the plush priced at ¥1,296. Personally, I think that’s a steal! You bet I’m keeping the tag, too! I just love the gem pattern in the background!